A nice loop around to, around and from UBC on a chilly and foggy October afternoon. Good to burn off some steam, de-stress, etc. Nothing beats cycling – it’s amazingly gratifying and cathartic. 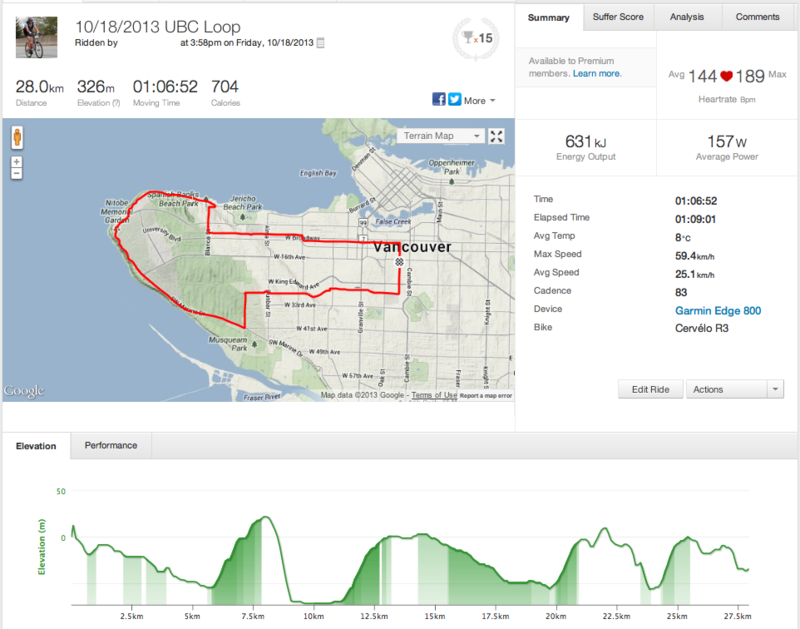 I enjoy this ride too and often include several repeat climbs up the hill from Spanish Banks.